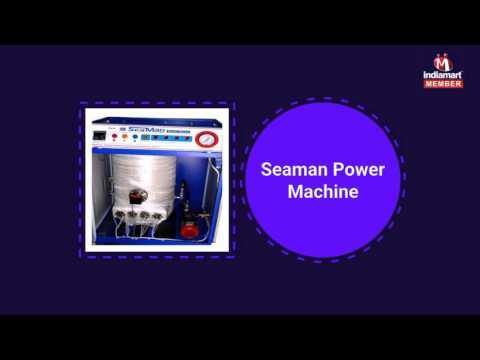 Seaman Power Steam, Mumbai is providing world class range of Steam Generators and Ironing Machine since the commencement in the year 2001. Our ambitious business culture enables us to attain reputation with the wide range of products, such as Steam Generators, Ironing Machine and Vaccum Ironing Machine. Our efforts to understand the inclination in the market requirements furnishes us to develop our product selection by laboring full advantages of cost competitiveness, unique water preheating system user-friendly controls, high strength and low-cost maintenance.